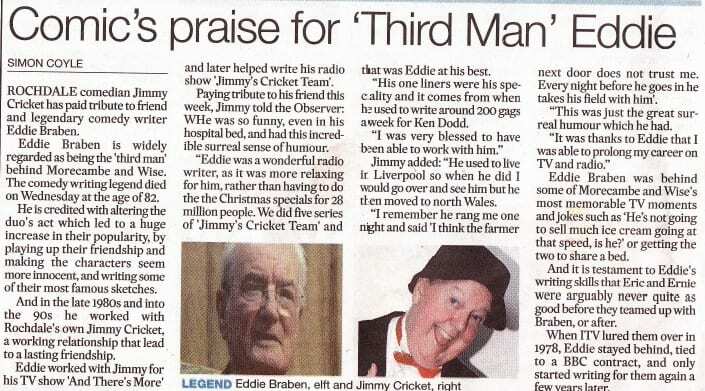 Jimmy Cricket is back at the Fusilier Museum in Bury, Greater Manchester in September, in another charity fund-raiser. 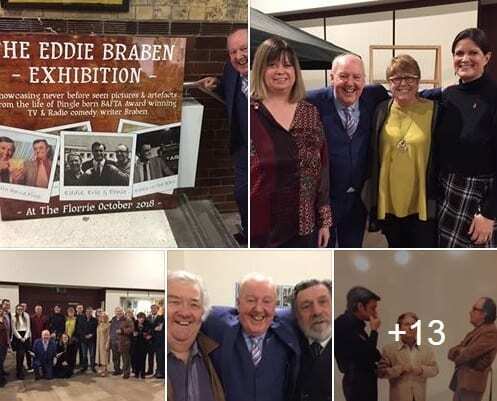 The well-known comedian has been asked to perform again at the venue on Moss Lane on Friday 14 September (8-11pm), having done a show there previously. It is another fund-raiser for the Salford Diocesan Lourdes Pilgrimage. 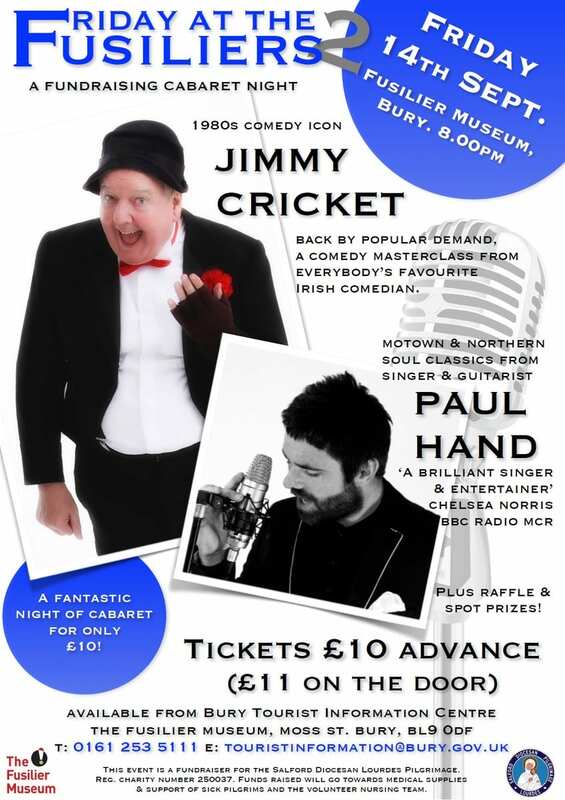 Singer and guitarist Paul Hand will also be performing on the show. 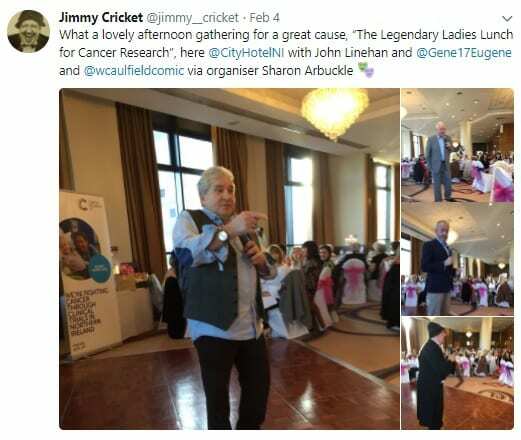 Jimmy Cricket joined up with his comedian colleagues and friends to help support the Legendary Ladies Lunch for Cancer Research. 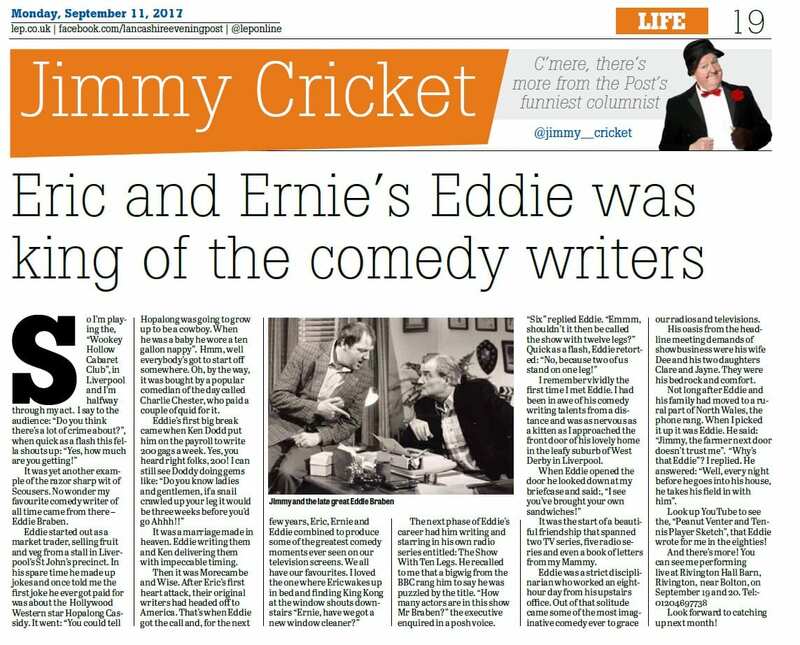 He performed with fellow Ulster comics, John Linehan (aka May McFettridge), Gene Fitzpatrick and William Caulfield at the City Hotel Derry. 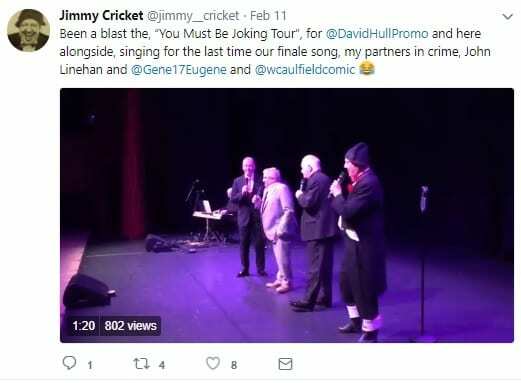 The four funnymen have been starring on the popular You Must Be Joking tour of Northern Ireland. 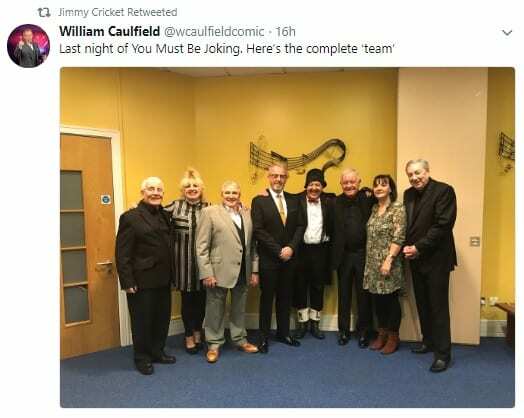 Famous funnyman Jimmy Cricket is again appearing alongside several fellow comedians in the popular You Must Be Joking show. 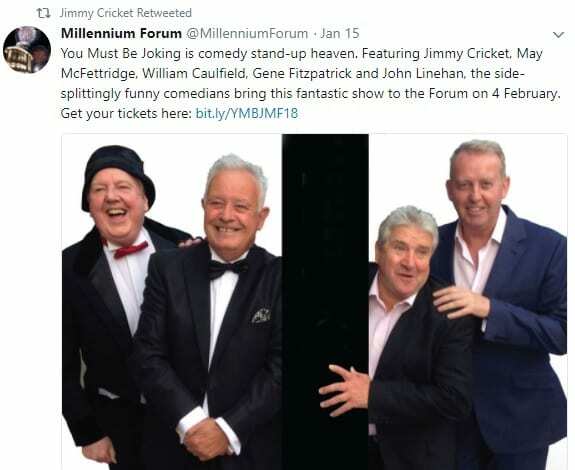 He will perform as usual with fellow Ulster comedians, John Linehan (aka May McFettridge), Gene Fitzpatrick and William Caulfield. 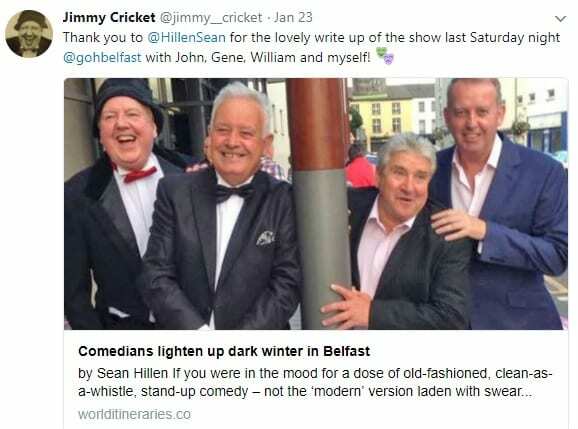 The quartet played to sellout shows across Northern Ireland in 2016. 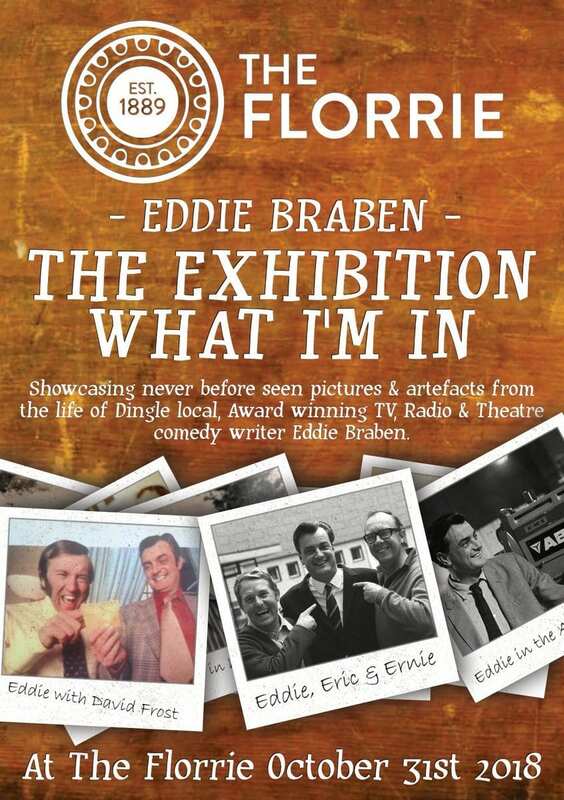 They will appear together at Derry’s Millennium Forum theatre at 8pm on Sunday 4 February. Jimmy, 72, with his funny hat and his wellies on the wrong feet, will be reading his letter from his Mammy and getting up to his usual shenanigans. The first lady of Irish comedy, May McFettridge, also fresh from panto, will abuse all and sundry. William Caulfield, who has cruised the world with his stand-up show, will regale the audience with stories of everyday life from home and abroad in his hilarious homegrown style. 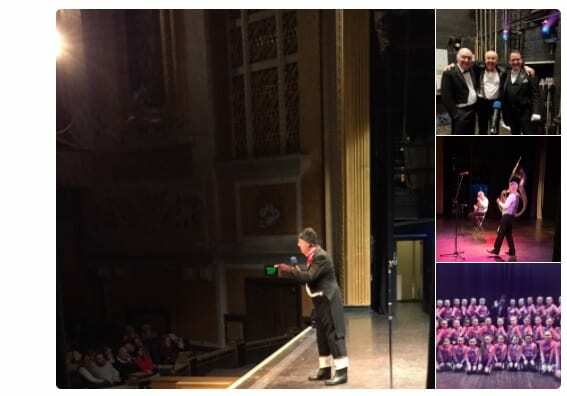 Gene Fitzpatrick, with his wonderfully warm personality making him a master storyteller and king of the one-liners, will tell tales of ‘The Vision’, his lovely long suffering wife and many other stories! 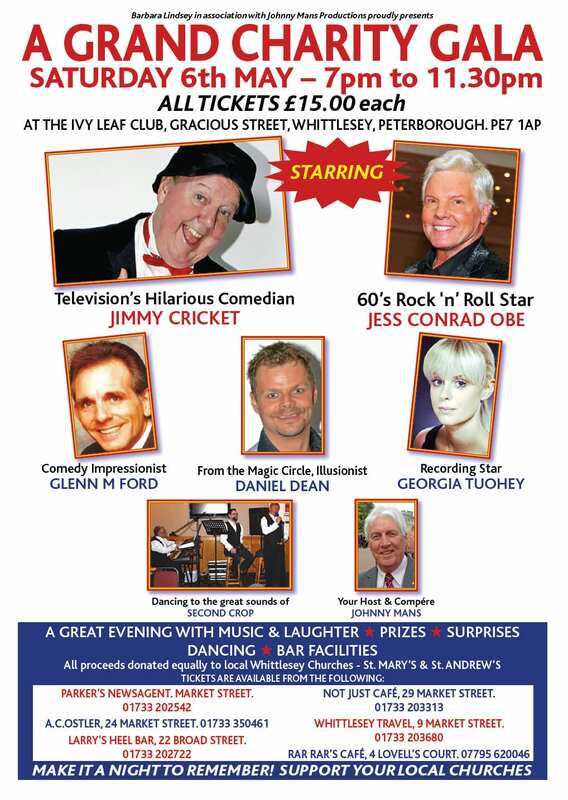 Compere for the evening is May McFettridge’s long-suffering driver, John Linehan. More details can be obtained by visiting the theatre’s website here.